Notice how at the bottom it shows a 1-20% Cash Bonus. This is the current discount or deal you would get if you purchase the item from the current web site. 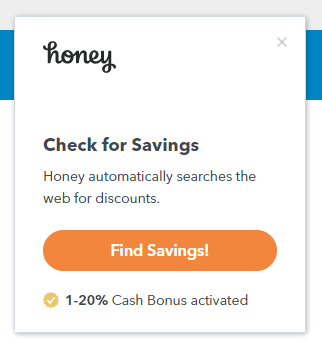 Once you click Find Savings, Honey will start to look for better deals than the one you currently have. 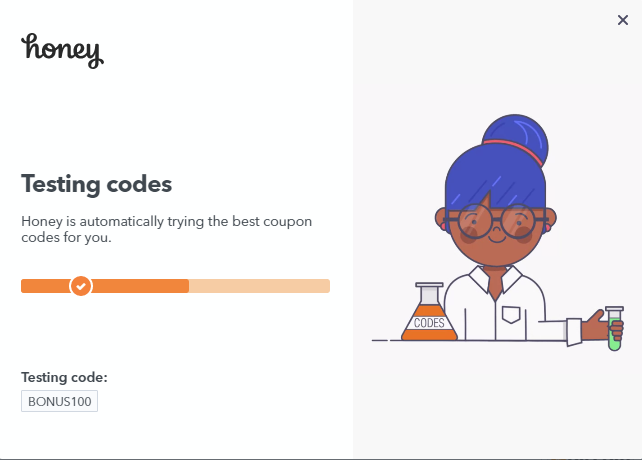 If it finds several discount codes you will see this pop-up appear several times until it either finds a better deal or discount, or it validates that your current deal is the best. In sites like Amazon where you have different sellers selling the same item, it scans Amazon to see if it can find a better price with another seller. 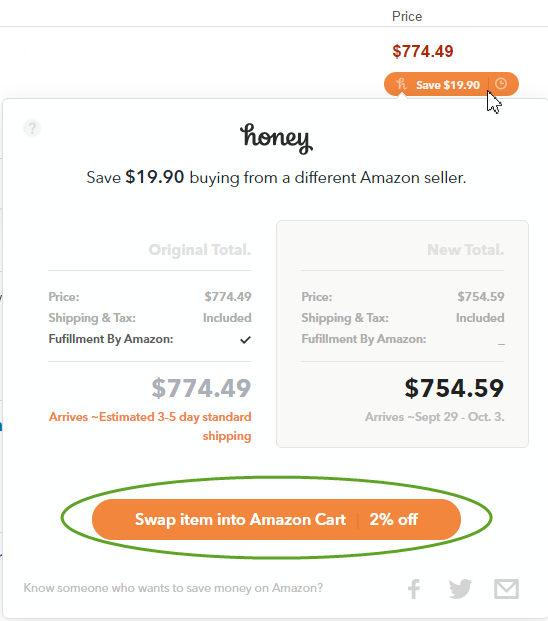 In this example, at the time I clicked check-out it showed me a savings (on the top right corner of the image) and then it gave me the option to swap the item to get the deal. 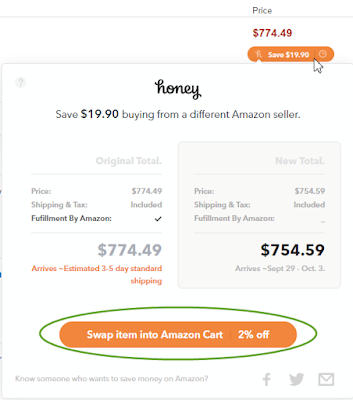 Once I clicked Swap item into Amazon cart, it swapped the item priced at a higher price in my cart with the same item being sold by another seller at a discounted price. Using Honey guarantees that you buy the item at the best price possible. In some cases it won't find a better deal than what you currently have, but at least you get validation that you're paying the best price. Honey currently works with shopping sites in the U.S.A, Canada, Australia, UK and India as well as sites that serve global customers. 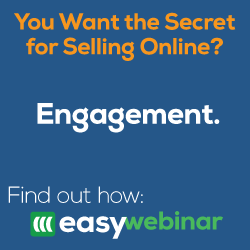 What do you do to save online? Share with us in the comment section.